Do you want your new home design to stand out from others in your neighbourhood? 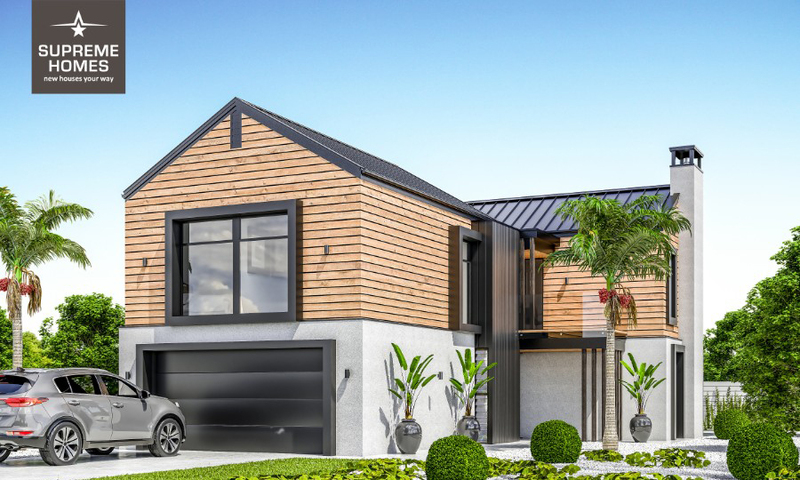 We build quality 2-storey houses in Wellington, based on the plans on this page. Our designs can be customised according to your preferences. Give Steve a shout to talk about a quote or have a chat about what you’ve got in mind. 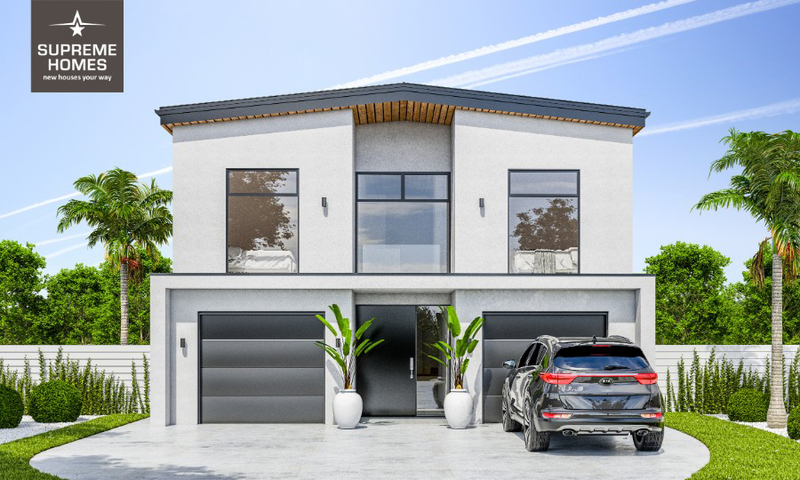 Our 2-storey new home designs have three or four bedrooms and range in floor area from 195 to 233 sqm. We have designs to suit narrow, or standard-sized sections. 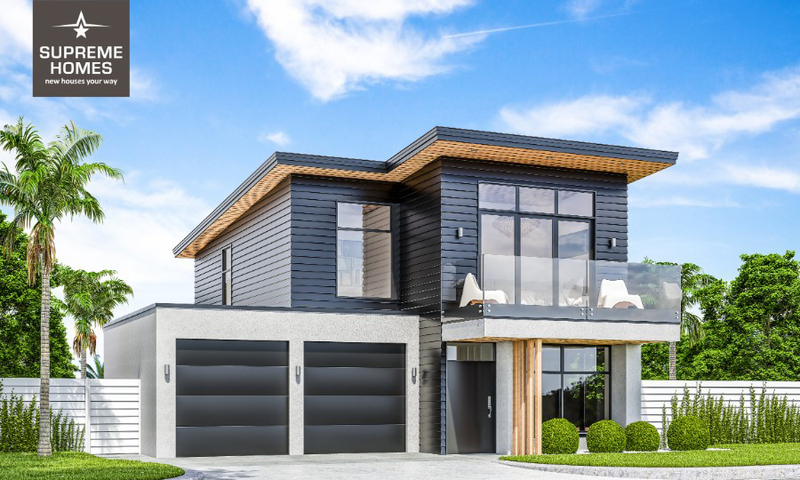 If you have purchased a section already, we can help you decide which of our 2-storey home designs is best for your property with a free on-site meeting with Steve. We offer two landscaping packages for your section when we build your house: Basic Landscape, or Designer Landscape. We provide one price for your build with no hidden extras once the contract is signed off. We use building materials intelligently so your new home will make the most of its setting, and running costs will be kept to a minimum. 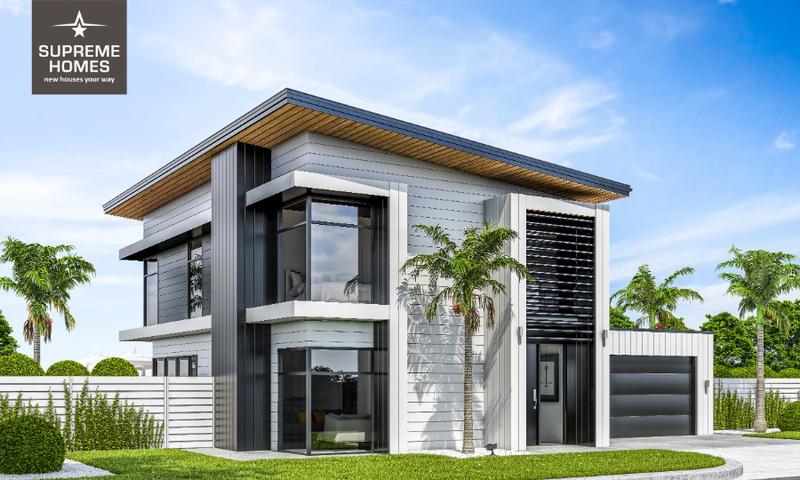 This modern, sleek four bedroom home packs a lot of features within its small footprint. The main living layout integrates seamlessly with dual outdoor living spaces which are designed around both morning and evening sun positions. Enjoy a view from the master balcony and its large slider door with overhead windows. This home looks great, is highly functional and could add a lot of value to your section! This home is designed for narrower sections without compromise. 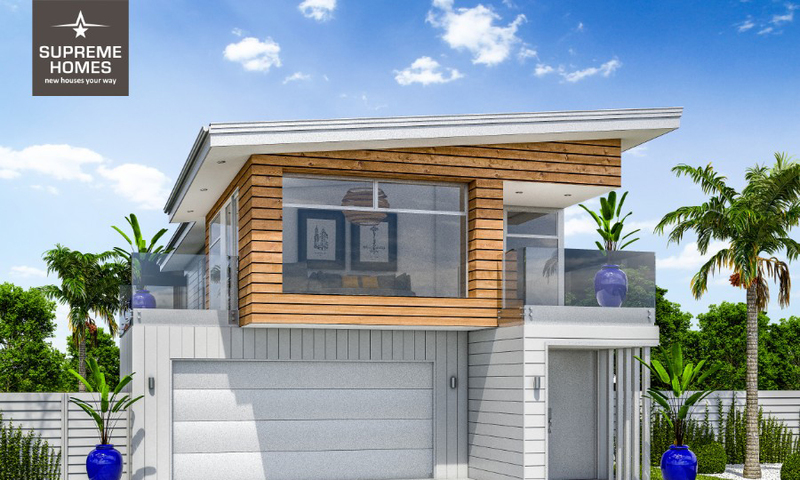 This home includes everything you could want including a scullery, two studies, dual living, (one up and one down), a kitchen, outdoor bar, a covered outdoor space, four balconies for maximum view potential and some serious street style! If your section is narrow and you like to have it all, you may not find a better home than this! This ultra modern, three bedroom design looks like a large home from the outside thanks to the architectural styling, however, its just 206 square meters. The large extruding entry makes a real statement with fixed louvres giving the overhead study space some privacy from the street. Some features include a scullery, a large powder room for guests, a kitchen, an outdoor bar and plenty of storage throughout the home. If you like modern, this may fulfil your wish list! Divided by a stairwell and foyer, This home is made up of two main wings to give an architectural, pavilion flair. The exterior makes use of three main claddings to give definition and visual appeal. Inside this home includes dual living, an additional chill zone, a study, two balconies an outdoor kitchen bar, a powder room for guests and a large separate laundry. Modern architectural styling and practically designed spaces make this home a real contender! While this design derives from a basic rectangle shape, it’s cleverly refined into a timeless architectural home. This is achieved by using an extruding band around the exterior, symmetry and some nice interior features. Together, this enhances the visual appeal and practical flow of the home. Some features of this home include the north-facing upstairs study, a chill zone, an atrium and the optional covered outdoor living space. If you like simplicity or symmetry, this is your home!